Japanese automaker Isuzu and American car giant General Motors (GM) go a long way back in terms of cross holding each others’ stocks and jointly developing, branding and selling vehicles, especially in the utility vehicle segments. The automakers have also been sharing diesel engine technology. The latest in the GM-Isuzu saga is the announcement of a new pick up truck that the companies intend to sell mainly in the emerging markets of the world, including India and South East Asia. The collaboration is expected to result in lower development costs, shared parts and manufacturing facilities. The pick up truck will be built at manufacturing facilities in South East Asia and India. Isuzu is currently establishing a greenfield manufacturing facility at Sri City, Andhra Pradesh. This facility will begin production pick up trucks from 2016, and will start off with a 70 % localization level. Eventually, Isuzu plans to jack up localization levels to near 100 %. The Japanese automaker is also bullish about leveraging India’s low cost-high quality manufacturing ability, making the country a pick up truck hub. 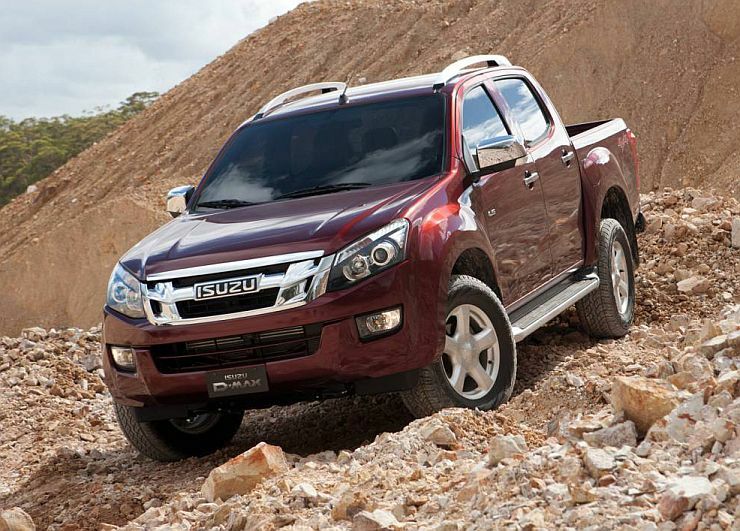 While the new pick up truck that General Motors and Isuzu are developing is said to hit South East Asian markets by late 2015, the vehicle is expected to arrive into India only in 2016 or beyond, as it will take Isuzu a couple of years to start full fledged manufacturing operations at its upcoming, Sri City factory. Isuzu has also firmed up plans to produce a Toyota Innova rivaling MPV in India. Codenamed the RU30, the full size, 7 seat MPV is expected to make its India debut in 2016. General Motors is in a bit of a lull as far as its Indian operations are concerned. With no new vehicle in line for the next couple of years, the automaker plans to subsist on facelifts and refreshes of its current line up of cars, a strategy that will allow it to stay in India, but not thrive. It remains to be seen whether General Motors India will use the Isuzu-GM jointly developed pick up truck for a foray into the pick up truck segment here.